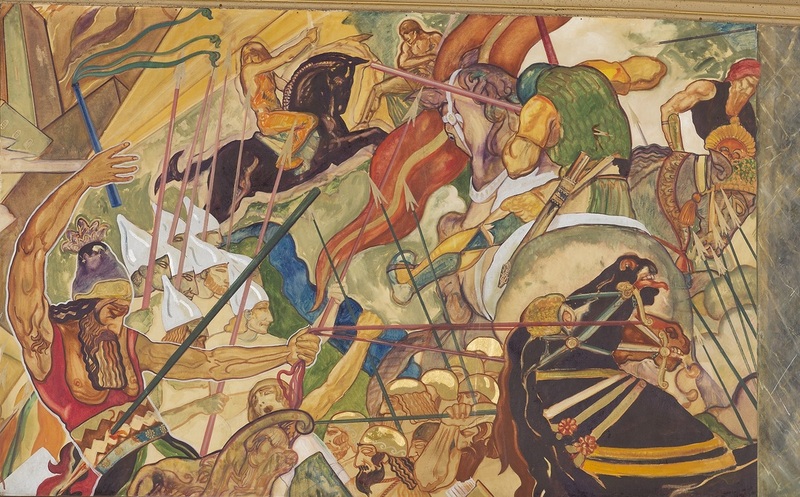 Mural Description From the Lectures of Rabbi Edgar F. Magnin, 1929-1930: "This panel depicts the wars of Israel and Judah with the surrounding nations between the 11th and 9th century B.C.E.During this period there was continued strife, both defensive and offensive, with the Philistines, Moabites, Edomites, Arameans and Assyrians." Between 900 and 600 B.C.E. the peoples who lived in the Near East had shifting relationships, sometimes cooperative, sometime hostile. Active trade and economic partnerships created stability and prosperity for smaller Kingdoms. Disagreement among the Israelite tribes about how the Kingdom should be ruled led to the kingdom dividing in two. Who were the different peoples that lived in the Ancient Near East? How did the split between the tribes of Israel and Judah into Northern and Southern Kingdoms impact the fate of the Jewish people? How do archaeologists work and how does archaeological evidence help is understand war and trade during in this time and place? After reading the primary text, show on the map how the land of Canaan was divided into two smaller states in 926 B.C.E.-- the northern Kingdom of Israel under the new leader Jeroboam, and the southern kingdom of Judah under Rehoboam, Solomon's son and successor. After the death of King Solomon, there was disagreement among the tribes about how the Israelite Kingdom should be ruled. As a result the kingdom divided in two: ten of the tribes lived in the Northern Kingdom called Israel and two of the tribes inhabited the southern area around Jerusalem called Judah. During the reigns of these two kings, there was ongoing war between Israel and Judah. This weakened the powerful and influential empire created by David and Solomon; many of the former allies abandoned the House of David. 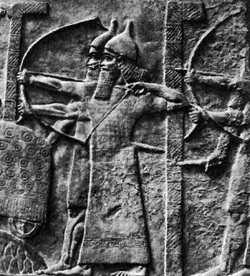 During these centuries, the Kingdom of Assyria in Mesopotamia gained control of the region, and their powerful armies marched out to conquer all the nations from the Mediterranean to the Euphrates and from Egypt to Lebanon. These were unstable years for the Israelites--the Northern Kingdom had a many different rulers in short time, and there was a struggle between those who were committed to Torah and the God of Israel, and those that wanted to revert back to paganism and worship idols so they wouldn't be different from their neighbors. 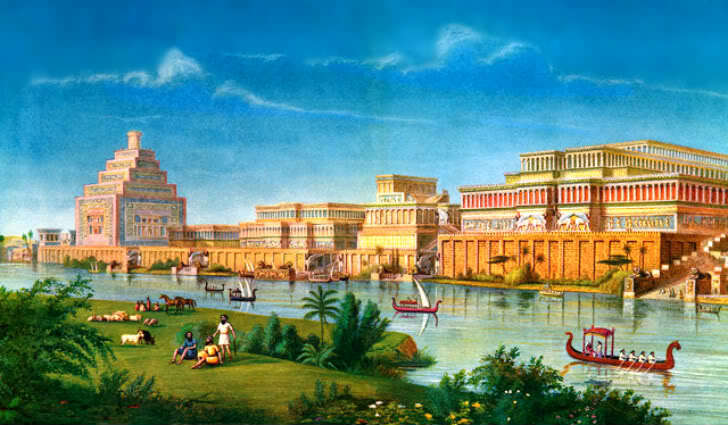 After a siege of the Northern Kingdom that went on for a number of years, the capital Samaria finally fell to the Assyrian King Sargon II in 721 B.C.E. The Israelites were deported or suppressed and the Kingdom became part of the Assyrian province of Syria. 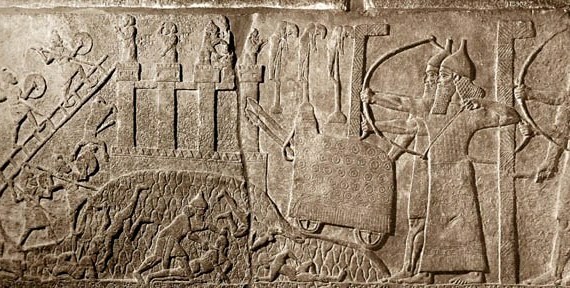 Sargon deported 27,290 Israelites to distant countries in his expansive Kingdom. Eventually they became known as the Ten Lost Tribes of Israel. Fearful that the Israelites in Judah would meet the same fate, the Israelite Prophets warned the people and their leaders to faithfully observe the Law of the Covenant. Between 900 and 600 B.C.E. the peoples who lived in the Near East, including Canaan, Mesopotamia, Assyria and tribes around the Mediterranean Sea had shifting relationships--sometimes they were fighting over territory and power, in other times the kingdoms actively traded goods with each other and formed important economic alliances. We know about these relationships--both hostile and economic--through biblical text, as well as through the material remains that archaeologists dig up, analyze and interpret. In this lesson we will learn a little about the sometimes hostile, sometimes peaceful neighbors of the Israelite-- and analyze some archaeological evidence of war and trade between them. 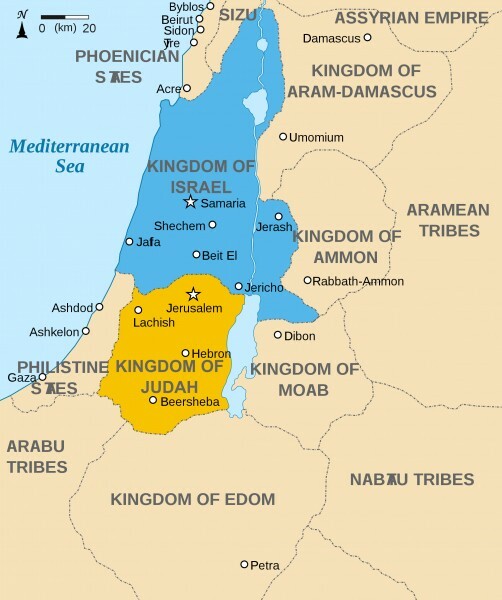 The map below shows the divided kingdoms of Israel and Judah and the surrounding tribes and kingdoms. Who Were the Israelites' Neighbors? Swap Trading Cards to Find Out. Each group will research the culture of the ancient kingdoms that lived alongside, traded and fought with, the ancient Israelites in Judah and Israel. Divide the class into six groups. Each group will select one of the following ancient peoples: the Philistines, Moabites, Edomites, Assyrians, Phoenicians, and ancient Egyptians living between 800-600 B.C.E. Use the online Encyclopedia Britannica and other sources as a reference. Each group will create a "Trading Card" of their people using an on-line "trading card generator." To create each card, students need to first collect the following information about their people: An image (found online) that represents their people, characteristics of the region they lived in, important leaders, language(s) spoken, religious practices, economy and trade, relationship to Israelites. Click here for instructions on using the Trading Card Creator. Click here to access the Trading Card Creator. An artifact is an object made by a human being, typically an item of cultural or historical interest. By learning how to observe, analyze and interpret artifacts, we can understand more about the people who made them, and the times in which they lived. In this activity, students will analyze a common American artifact to discover what it reveals about the people who use it. Click here for the Lesson Plan. Archaeologists working in Israel and the Near East unearthed extraordinary artifacts that help us understand how the ancient Israelites lived, and interacted with their neighbors. In this lesson we will examine two archeological sites that illuminate the sometimes hostile, sometimes peaceful neighbors of the Israelites, through evidence of war and trade between them. Archaeological Evidence of War in 7th Century Israel: What Happened at Lachish? Among cities in ancient Judah, Lachish was second only to Jerusalem in importance. Rebuilt as a fortress-city of the Kingdom of Judah, Lachish gained in importance after the split of the kingdom into Judah and Israel. As the largest city on the western border of the Kingdom of Judah facing the Philistines of the Coastal Plain, Lachish was fortified with a double line of massive mud-brick walls on stone foundations. The city gate, was one of the largest and most strongly fortified gates known of this period. The easiest way to get a large attacking army up to Jerusalem was to approach from the coast. 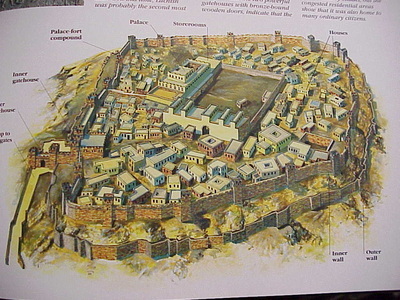 In order to lay siege to Jerusalem an invading army would first have to take Lachish, which guarded the mountain pass. During the reign of Hezekiah, King of Judah, the Assyrians, under King Sennacherib, attempted to take Jerusalem. While Jerusalem stood firm against the onslaught, Lachish fell to the brutal Assyrian soldiers in 701 B.C.E. How do we know what happened? 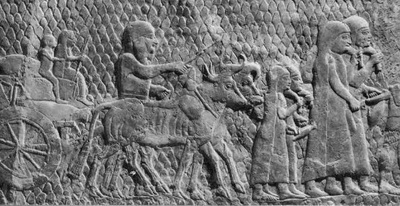 The events surrounding the conquest of Lachish are documented in many different sources--which was unusual for the 8th century BCE. Besides being described in the Bible, we find evidence of the battle of Lachish in some extraordinary artifacts unearthed by archaeologists. In 1849 the great British archeologist Austin Henry Layard found the remains of the Assyrian Temple which was the lost palace of King Sennacherib. 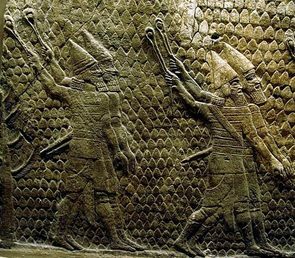 Its 71 rooms, and enormous carved reliefs, were remarkably preserved, and showed the battles won by the Assyrians, including details of the conquest of Lachish. Ninevah was the Capital of the Assyria Empire, now modern Iraq. It was one of the greatest cities of ancient times. It was destroyed by conquerors in 612 B.C.E. Its ruins are across the river from the modern-day major city of Mosul. 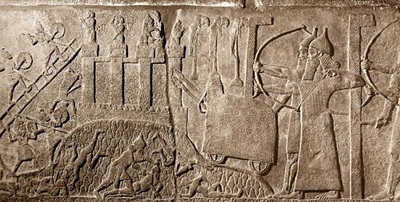 In the book, "The Art of Warfare in Biblical Lands" the renowned Israeli archaeologist Yigael Yadin noted that because the conquering Assyrian kings decorated their palaces with hundreds of thousands of wall carvings and paintings detailing their battles, archaeologists and historians have been able to interpret these artifacts to learn about warfare in this time period and compare them with events written in the Bible. 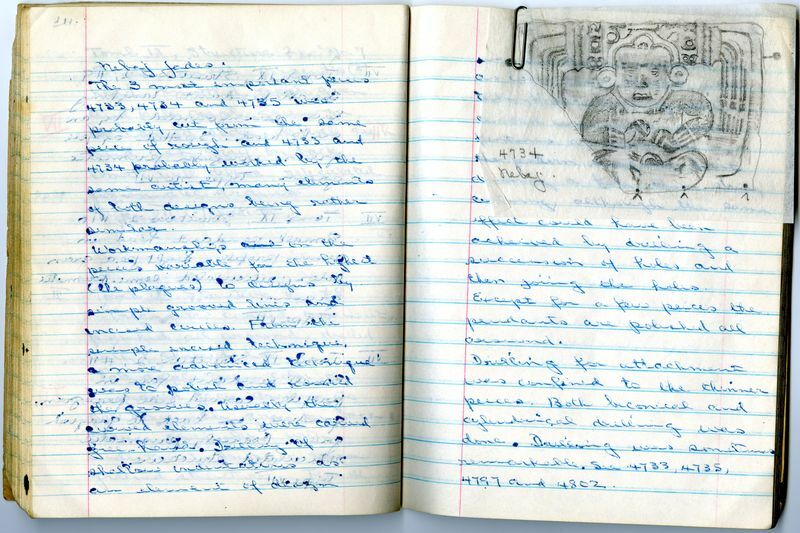 In order to document and understand what they are excavating, archaeologists take detailed notes of their discoveries "out in the field" in a "field notebook." Using words and sketches they fill their notebooks with their observations. 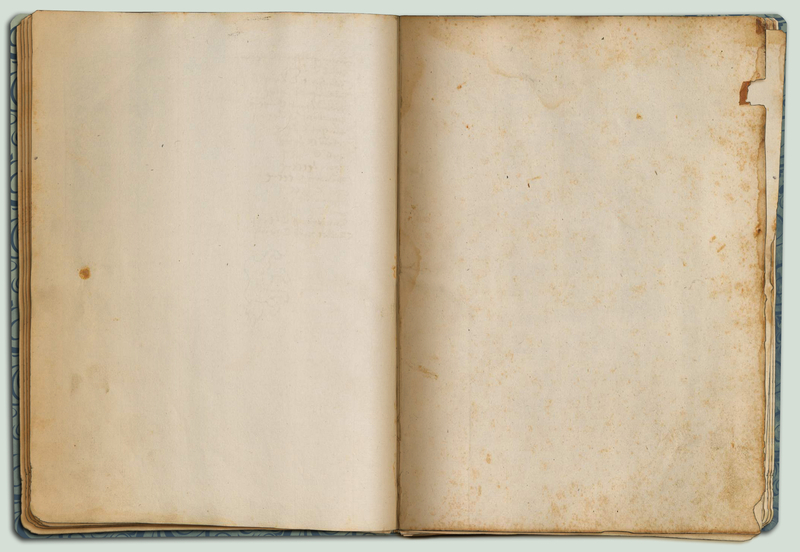 Click here to see examples of archeologist field notebooks. In this project you will become an archaeologist observing and documenting the remarkable carved relief sculptures, discovered at the Assyrian Temple at Ninevah, which clearly show the dramatic destruction of the Judean town of Lachish. Use ipads to look at the four examples of the Lachish carvings below. Select one of the carvings to focus on. Look very closely to examine all the details. One the left side of left side of your field notebook DESCRIBE as accurately as you can exactly what you see, including the setting, the buildings, the equipment, the weapons, the uniforms and head gear, the actions people are taking. If you do not know what something is just describe how it looks and what appears to be happening. On the right page of the journal use a pencil to DRAW, as best you can, some of the details of the carving. When complete, share your descriptions with the class. What are different ways students described the same images? After the discussion, project the images and read the descriptions of the relief sections below the images. How did what the students described match up with what the carvings were actually illustrating? Relief Sculptures Showing the Battle of Lachish, 701 B.C.E. A RELIEF SCULPTURE is a work of art which is carved into a material like stone, or wood or clay to give the impression that the sculpted material has been raised above the background. 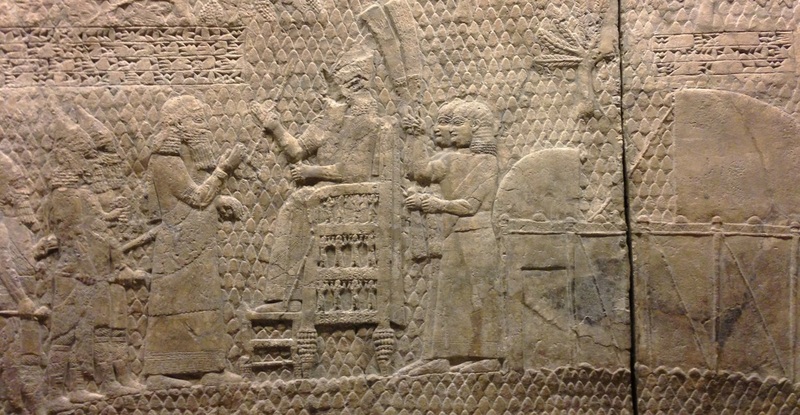 These remarkably well preserved artifacts were found on the walls of the Temple of Nineveh. The carvings were removed and are now preserved in the British Museum. The images below will be enlarged when you click on them. Click here for additional images from Lachish in a slideshow. Relief Section A: This relief carving from Temple of Ninevah is significant as it has an inscription which identifies the location depicted in the reliefs. It reads: "Sennacherib, the mighty king, king of the country of Assyria, sitting on the throne of judgment, before (or at the entrance of) the city of Lachish (Lakhisha). I give permission for its slaughter." 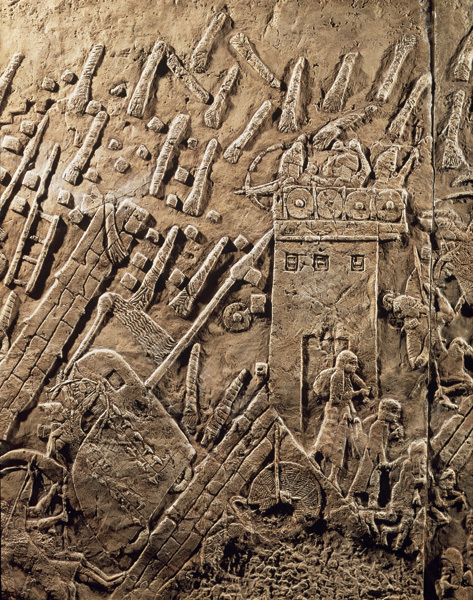 Relief Section B: This section shows the types of warfare, weaponry and armor: archers, ladders scaling the walled city, the shields and hand to hand combat. 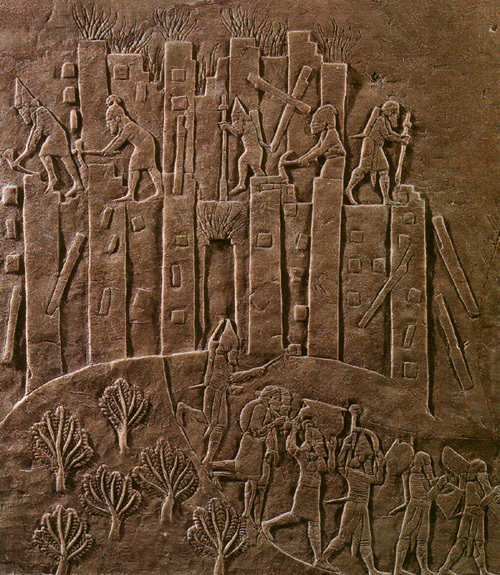 Relief Section C: The city being destroyed while captives are being lead away from the fallen city. 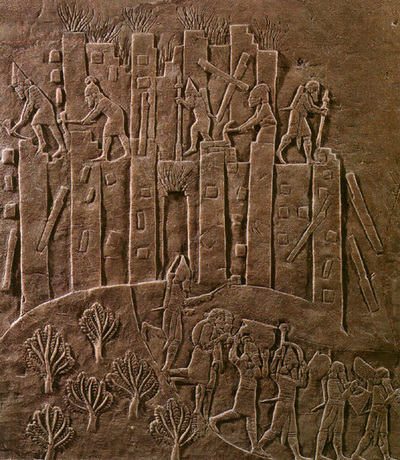 Relief Section E: Children captives being led away from the destroyed city of Lachish. 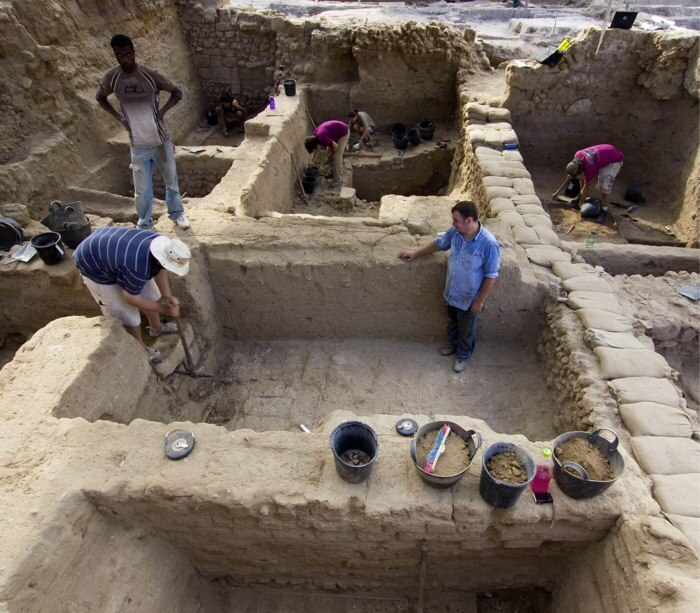 What Did Archaeologists Discover in the Ancient Ashkelon Marketplace? Between 700 and 600 B.C.E. 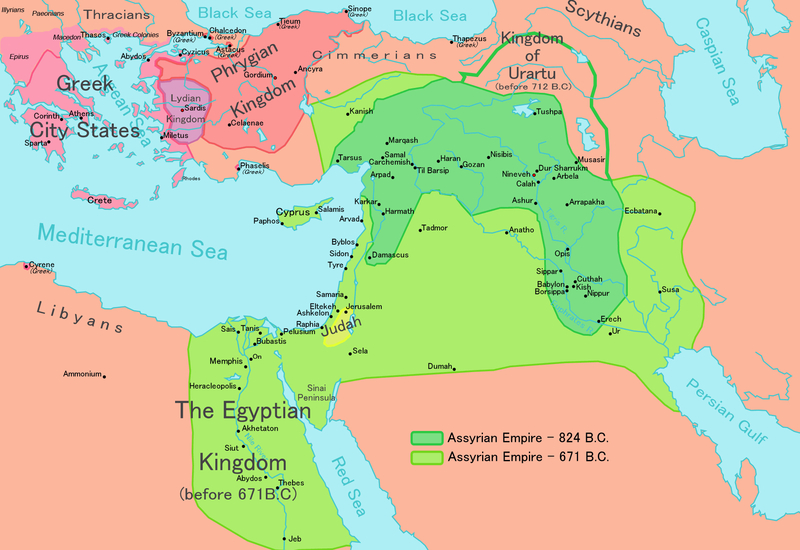 the peoples who lived in the Near East: Canaan, Mesopotamia, Assyria and around the Mediterranean Sea, had shifting relationships--sometimes they were fighting over territory and power, in other times the kingdoms actively traded goods with each other and formed important economic alliances. In this activity we will explore the remains of the ancient marketplace in Ashkelon to understand what it tells us about buying and selling and the commercial connections between people in 600 B.C.E. The photograph above from the Ashkelon Market Excavation shows the archaeologists at work and the remains of the individual shops that once filled the ancient bazaar. Click here to read an essay about the importance of the ancient market in Ashkelon. Print it out if you'd like. As you read use two different color highlighters: one for the different items that were traded, and one color for the different regions the items came from, or make a list of these items if you read online. Print out this map of the ancient Mediterranean and Near East. After reading the essay, find the different cities mentioned. Draw a circle around Ashkelon. Using colored markers, use words and images to show where the different items came from. For example, near Judah on the map, draw and label the items which came from there. Draw lines from Ashkelon to all the places mentioned which brought items to the Ashkelon Market. Discussion Questions: Consider the market you shop in. Do you know the different regions the items you buy come from? Look at a label in your shirt and look where it was made. How much do we know about the places these items come from? Does trading with other countries help build economic alliances? What other questions does this bring up?